Fight Obesity with Alliance for a Healthier Generation! ActivEd is excited attend Alliance for a Healthier Generation's Leaders Summit in Washington D.C. September 30-October 1, 2016. During the summit, Alliance for a Healthier Generation will celebrate America's healthiest schools and award Healthier Generation HERO Awards. ActivEd is thrilled to be a part of this event that celebrates innovations that help students stay healthy and fit. Attending #NYSAEYC? Stop by booth 22 to meet Charley! Will you be at the NYSAEYC Annual Conference in Rye Brook, New York? If so, stop by booth 22 to meet Charley and learn more about the benefits of movement in the classroom. What are those benefits? Heading to the #CCIRA conference? Meet up with ActivEd! Looking forward to the 2016 Colorado Conference? We are! Account Manager Valerie Stofac Richey will be at booth 20 talking about how Walkabouts incorporate movement into reading and language arts lessons for pre-k through second grade students. 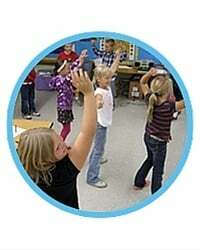 How do movement and literacy go together? During our movement-rich lessons, students focus on language arts and reading concepts while they are physically active. Research shows that this increases student achievement and engagement while decreasing behavioral referrals. Learn more about this at booth 20—or reach out to Val directly at vrichey@activedinc.com. Not going to CCIRA? 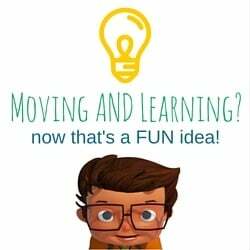 Request more information, and we’ll help you get students moving—and learning!